Ever since I made cookies & cream cupcakes I've been craving anything Oreo. I do that though - as soon as I have a bite of anything Oreo or Cookies & Cream I need more. Rather than just eat the leftover Oreo's straight out of the packaging with a glass of cold milk I decided to actually make something with them. 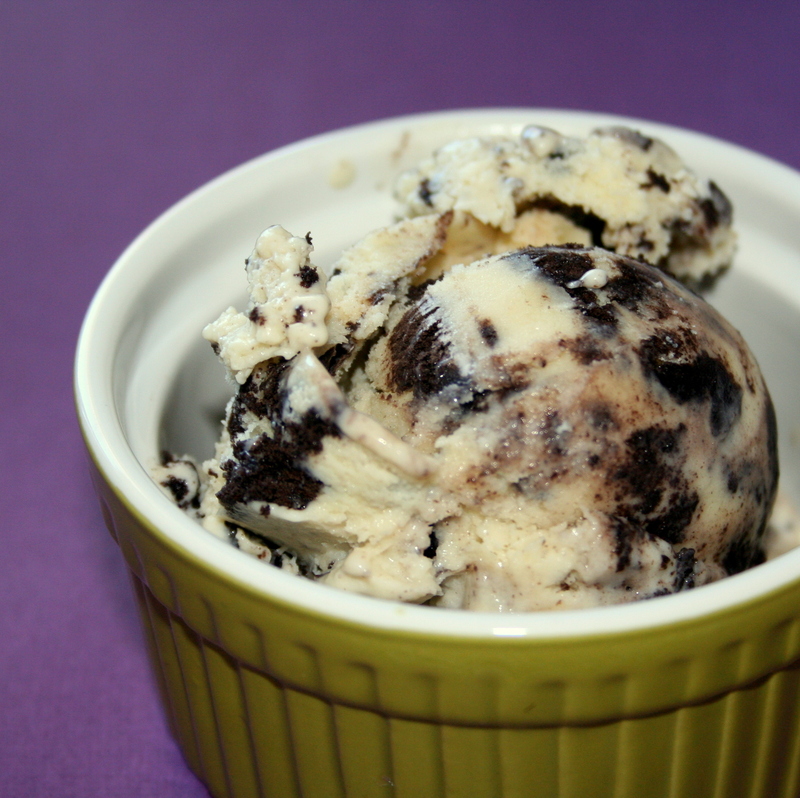 The weather was starting to warm up so why not make Cookies & Cream Ice Cream to bring myself out of the funk this winter has brought on to most of us this year. I've made Cookies & Cream Ice Cream with a basic vanilla ice cream base, just folding in some chopped Oreo's but I decided this time to look for an actual recipe. I'm glad I did because while my old version was good, this was much better. It's exactly what I look for in a Cookies & Cream Ice Cream. This looks delicious! I can't wait to break out my ice cream maker and make it!